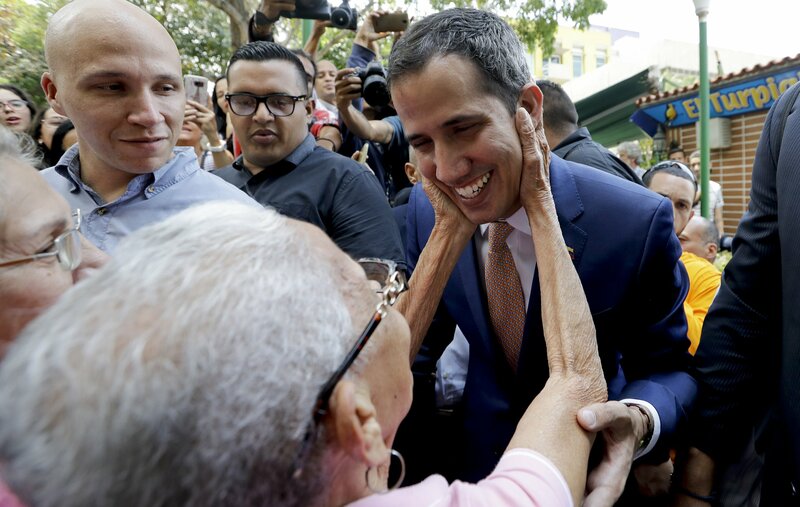 CARACAS, Venezuela — Venezuela’s chief justice on Monday asked lawmakers to strip opposition leader Juan Guaido of immunity, taking a step toward prosecuting him for alleged crimes as he seeks to oust President Nicolas Maduro. Since a massive power failure struck March 7, the nation has experienced near-daily blackouts and a breakdown in critical services such as running water and public transportation. Classes have been suspended for nearly a week, while workdays tend to end in the early afternoon so millions aren’t stranded due to cuts to the Caracas metro service. Maduro appeared on state TV Monday to announce that an engineer with 25 years of experience, Igor Gaviria, will serve as the next electricity minister, heading the state-run Corpoelec, replacing a military general, Luis Motta Dominguez. “I’ve lost him to a period rest,” Maduro said, adding that students will return to class Wednesday.